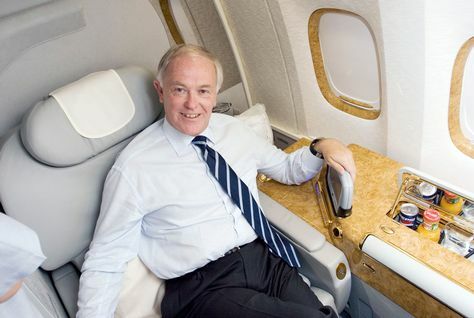 The falling price of oil could soon mean cheaper fares for Emirates’ passengers, after the company’s president said the airline is reviewing its fare structure. Speaking to The National newspaper, Sir Tim Clark said the review was initiated last November, spurred on by the falling price in oil. “The oil price fall has given us the opportunity to review our whole pricing structure. We’ve been trying to get a better handle on what’s good for us and good for the passengers,” he told The National, speaking at the World Economic Forum annual meeting in Davos. “We’re asking what we can pass on to the consumer, but at the same time maintain the margins we need for investment in expansion. We want to pass value through to the passenger, but we have to balance that with the need to meet our own key performance indicators, our profit and return levels,” he added. Clark said the new pricing structure is expected to be implemented by April this year. “The pricing system needs greater simplicity. It changes day by day and by time of day and that can be simplified,” he said. International Air Transport Association has said oil prices will lead to 5.1 percent drop on average in airfares this year.